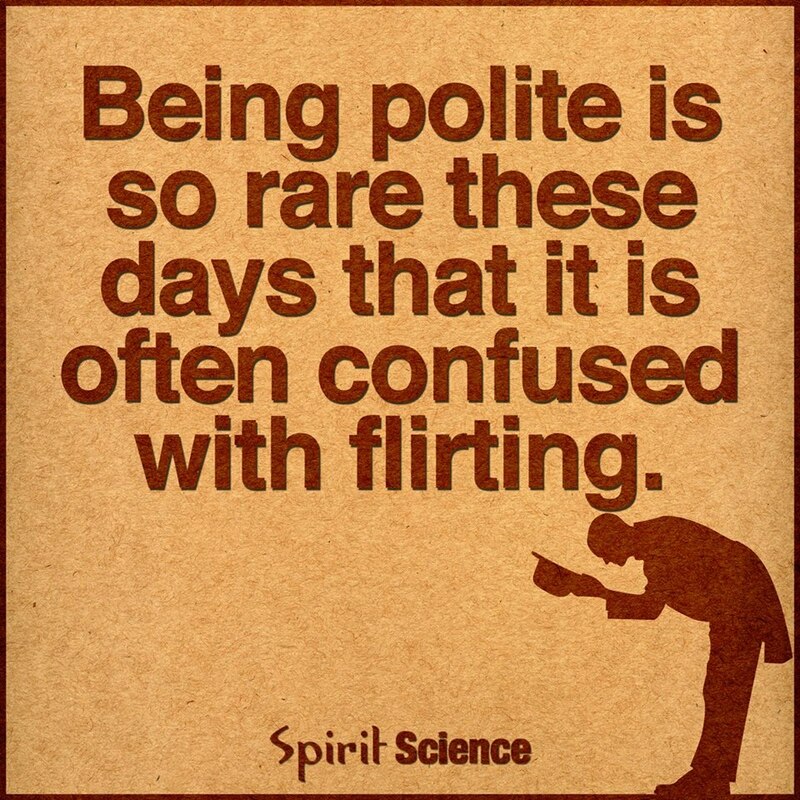 Today it seems that this is not uncommon in our society and sadly really that we may have become so self absorbed to think and even believe that being polite is actually flirting. Being polite is “marked by or showing consideration for others and observance of accepted social usage”. Whereas, to flirt is “to act as if one is sexually attracted to another person, usually in a playful manner”. Everything is right about being polite and there’s nothing wrong with flirting either, as long as it is done with good intention. So why not make a concerted effort to recognise and acknowledge the difference between “being polite” and being flirtatious. Enjoy and have fun doing both, with good intention! < Previous Breaking the cycle of hurt! Next > Spiritual enlightenment – are you there yet?